Goodluck Jonathan’s administration won gold medal in corruption- Bola Tinubu – Royal Times of Nigeria. 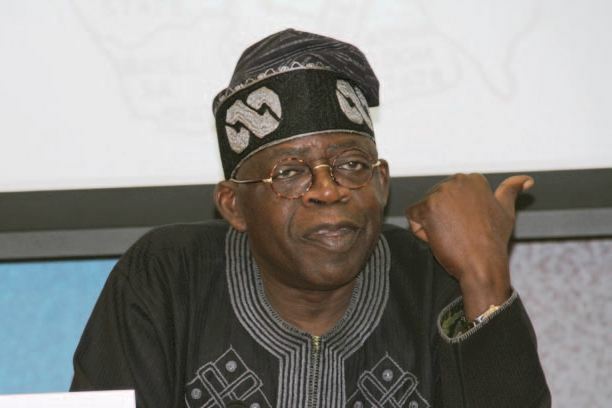 National leader of the All Progressive Congress (APC), Asiwaju Ahmed Tinubu, says the Goodluck Jonathan administration won a gold medal in corruption when they were in office. Speaking at a book launch in the state house in Abuja today, Tinubu said under the last administration, funds meant for public service grew feet and ran faster than Jamaican runner, Usani Bolt. He said, “The prior government used the public treasury as a private hedge fund or a charity that limited its giving only to themselves. So much money grew feet and ran away faster than Usain Bolt ever could. That which could have been spent on national development was squandered in ways that would cause the devil to blush. One minister and her rogues’ gallery picked the pocket of this nation for billions of dollars. While poor at governance, these people could give a master thief lessons in the sleight of hand. In governance, they earned a red card but in corruption l, they won the gold medal. It was not that our institutions had become infected by corruption. Corruption has become institutionalised”.